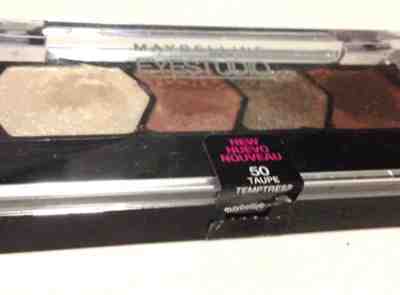 Today I am going to review the eyeshadow quad called Taupe Temptress by Maybelline from their Eyestudio line. I bought this quad thinking the last shade on the very right is a dupe to Mac's Beauty Marked but this has a purple base instead of a black base like the Beauty Marked does. 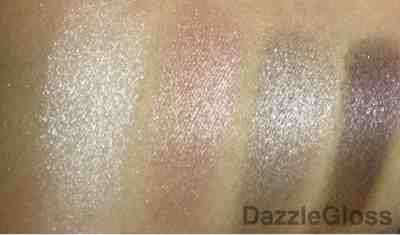 This quad in particualar has more cool taupey shades. There is one frosty white shade, one pink silvery shade, one taupe grey shade and the last one is a dark plummy purple shade. -look beautiful when applied wet for a dramatic look. -Not very expensive and is on sale a lot of times. -my quad came sealed without an applicator and I have seen applicators in most of them but maybe they forgot to add one in mine. The intensity of the colors is more when used with a damp brush. This also prevents any fallout that we get using eyeshadows dry. Buy I prefer using them wet only when I need a dramatic approach. Overall these eyeshadows are pigmented but there is also too much fallout. 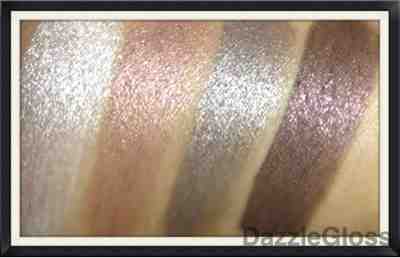 Another thing I did not like about these shades was that they are all shimmery. Too much glitter causes too much fallout and flakiness. I would have loved it if they had atleast one matte or even satin shade but all of these maybelline quads have shimmery shades. 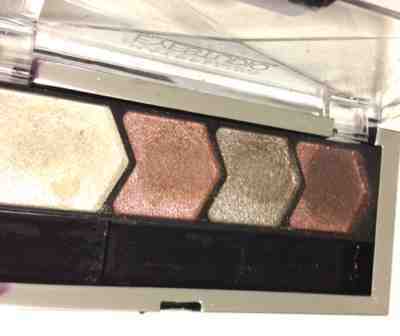 If you like shimmer I would recommend this quad but otherwise I don't think I will be buying anymore of the Maybelline Eyestudio quads. Hope you had an amazing week so far.